One of the best things about jewellery making is finding inspiration for new designs, whether that's from your home surroundings, the people you meet to your travels. Today, Jonathan Videgrain shares his Artists Residency experience at the Red Gate Residency in Beijing. He tells us more about the purpose of the trip, the challenges he faced such as finding tools and spotting fake gemstones, to meeting other creatives from across the world. 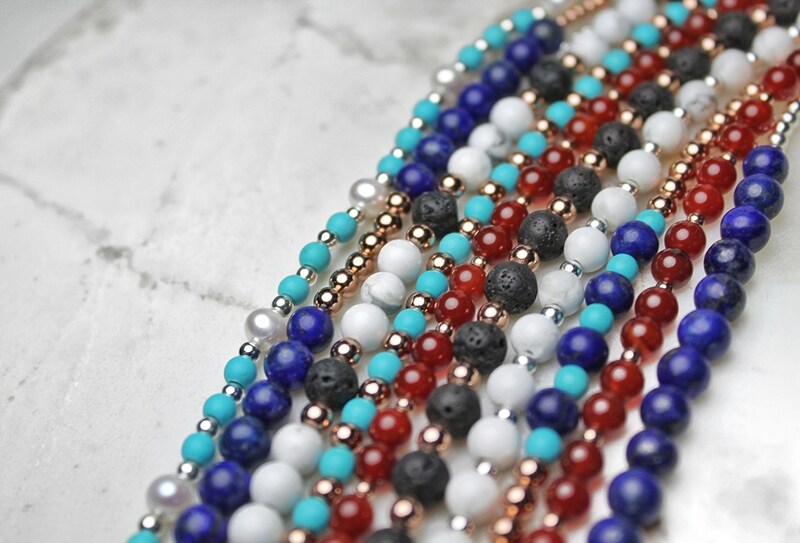 Since the trip, Jonathan has designed a range of stunning genuine gemstone bracelets, inspired by his experience in Beijing. 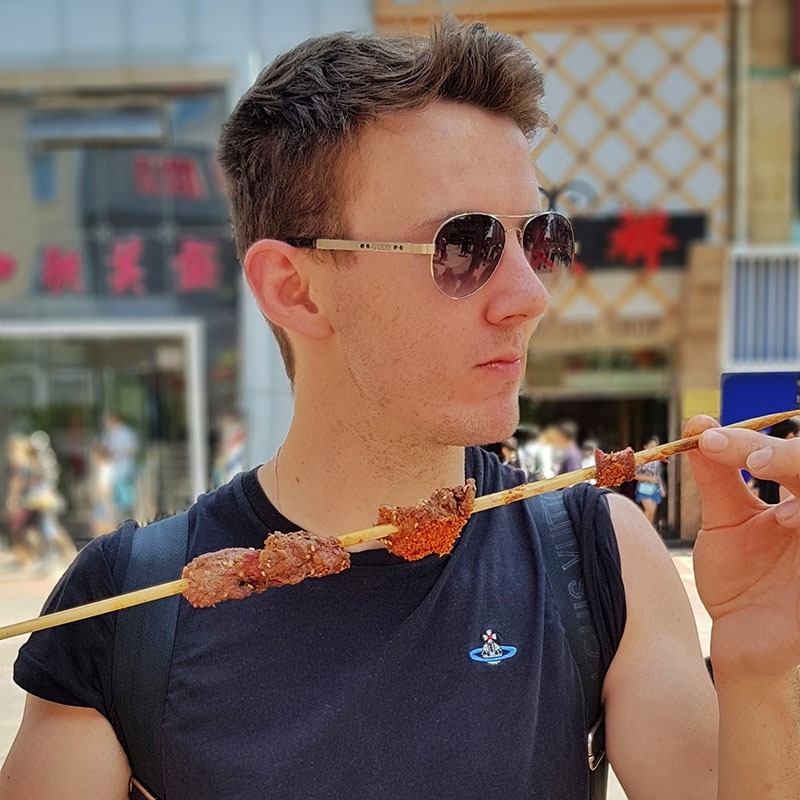 Read on to find out more about his experience, with some great snaps of Beijing's markets and a peek into Jonathon's new jewellery line. You can read more about Jonathan's jewellery, how his brand has developed and his background in our 'Meet The Jeweller' feature here.
" I wanted to find inspiration for both my ready-to-wear jewellery and my contemporary art-jewellery..."
When it comes to seeking inspiration, nothing quite compares to visiting another country. This is the main purpose of an Artists Residency, which involves an artist residing within an institution with the intention of experiencing the culture, making art and sharing their own experiences. No two residencies are the same, with each offering varying levels of luxury, facilitation and funding. One established residency is the Red Gate Residency in Beijing, which accommodates international artists in its row of redbrick studios in the bustling Feijiacun Village – a throwback to old Beijing that is hard to find since its recent and rapid redevelopment. The residency program is open to artists of any medium, and in August 2018 I became the first jeweller to take part, funded by The Arts Council of England. I wanted to find inspiration for both my ready-to-wear jewellery and my contemporary art-jewellery. The biggest challenge for a jeweller in Beijing is undoubtedly the strict guidelines surrounding fire safety in the city. With security checks not dissimilar to an airport at every metro station, all flammable substances are banned on public transport. Being able to get a jeweller’s torch back to the studio - were quenched rather quickly. The fire precautions are somewhat understandable though, as many of the most famous landmarks in Beijing including The Temple of Heaven, The Summer Palace and parts of The Forbidden City are wooden structures and all of these have burnt down at least once in their long histories. Fortunately, the internet came to my rescue, which was unsurprising as in 2017 the number of online shoppers in China peaked to an astronomical 533 million users. 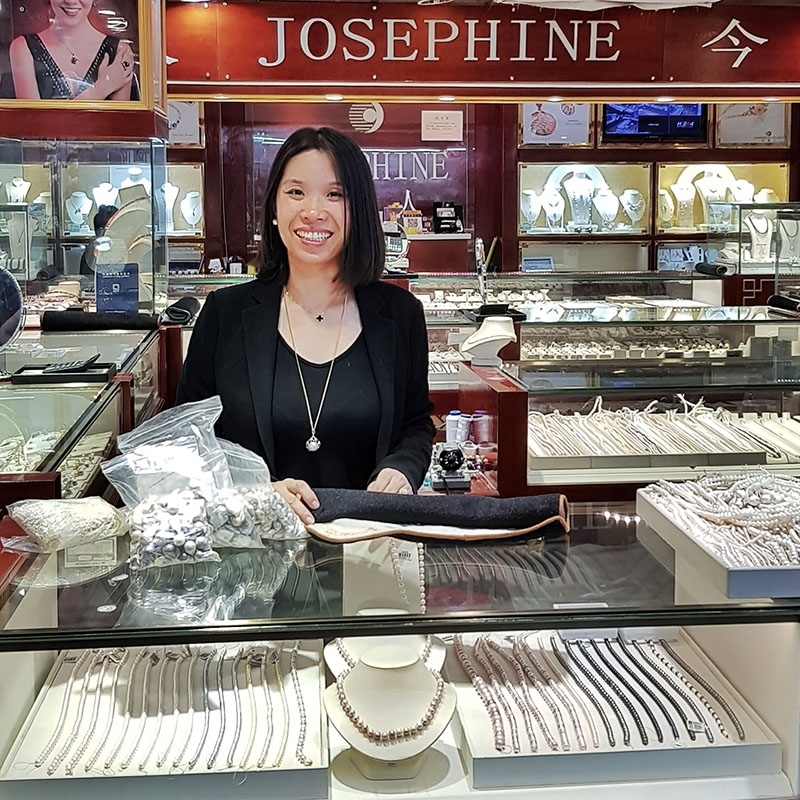 With a little help from a native speaker, my final purchase of a jeweller’s torch came from JD – China's answer to Amazon. Like most things in Beijing, the torch was cheap, temperamental and delivered promptly by bicycle. "If finding a jewellers torch was a needle in a haystack, then finding gemstones was like a needle in a tailors..."
If finding a jewellers torch was a needle in a haystack, then finding gemstones was like a needle in a tailors. My first and most successful stop was Pianjiayuan Flea Market. As you enter the vast covered market, one side clearly shows why it has earned the affectionate nickname of the Dirt Market. Sellers crouch over their plastic trays laid out on mats on the floor, each with a low stool for the shopper to sit and collect handfuls of cabochons and beads before bartering aggressively (but not angrily) for the best price. Here the sellers offered the fantastic service of allowing you to pick your cabochon, then pick your ring design for them to hastily set the stone in front of you. Whilst this offers a great service to those looking for a unique keepsake from their visit, as a jeweller I found it quite difficult to communicate the fact that I wanted only to buy their loose gemstones. Nevertheless, the further you venture into the market, the taller the tables become and the more prestigious the presentation of the stock becomes. "It was a challenge to decide what was genuine and what was not, but I was confident that the unique blue-flash of some freeform labradorite cabochons could not be replicated by a fake..."
By the time you weave your way to the other side (no mean feat in the 32-degree August heat), you will be forgiven for thinking you are shopping in the high-end jewellers of Europe and the UK. In the middle of these two extremes, you hit the sweet-spot: affordable, beautiful strings of beads, carvings and collectables. It was a challenge to decide what was genuine and what was not, but I was confident that the unique blue-flash of some freeform labradorite cabochons could not be replicated by a fake, and I confidently selected my favourite shapes and negotiated a good price. 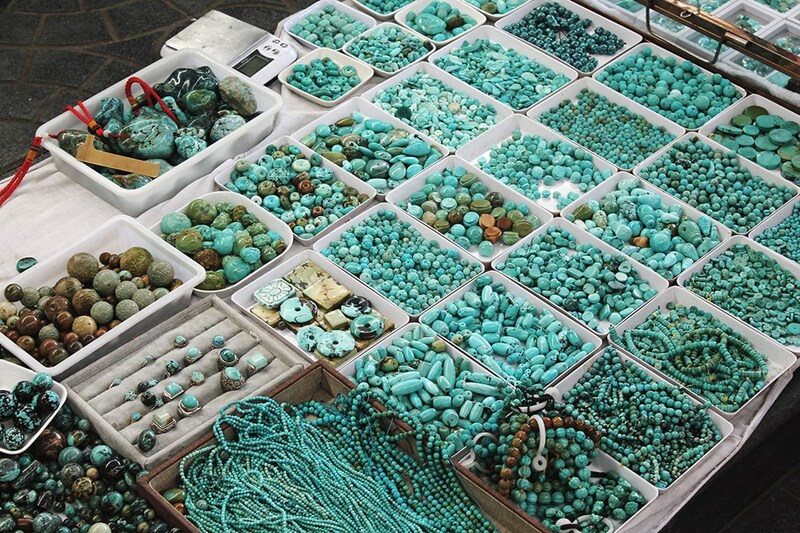 The jade was harder to decipher, and I embarrassingly paid over-the-odds for some freshwater pearls. The carnelian beads, however, were a beautiful colour, certainly genuine and a very good price. I fell in love with the unusual shapes and peacock hues, and she gave me a very good starting price for my selection. 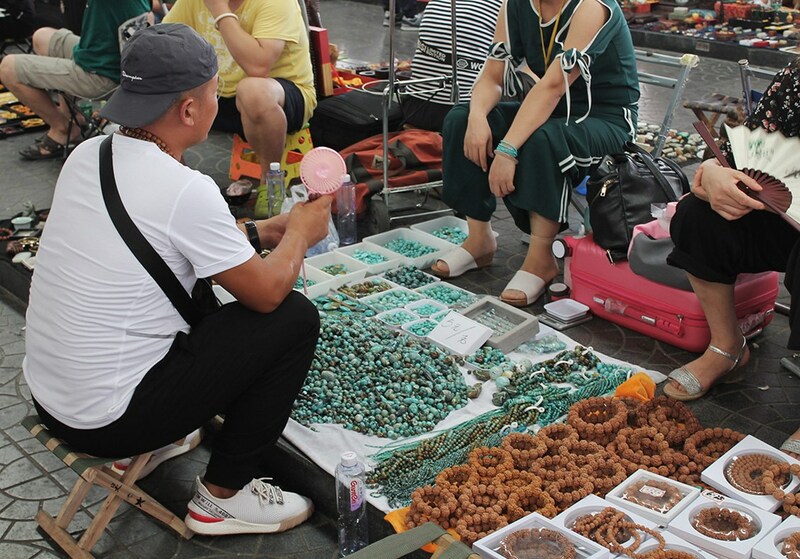 My only negotiation was insisting she add a string of near-round pearls to my bag for her asking price, which she reluctantly did (although those experienced in haggling would know that her reluctance was for show). 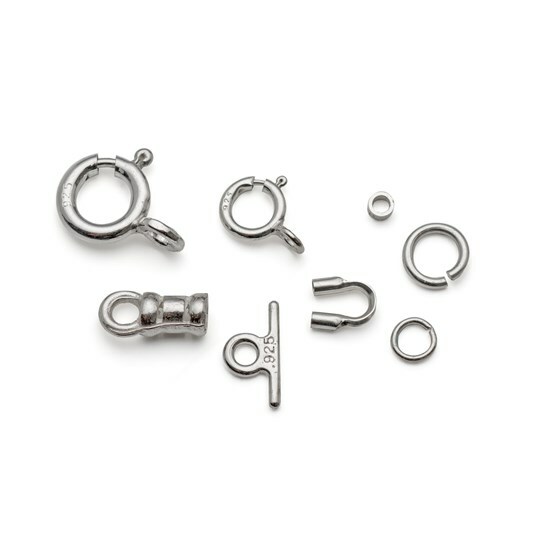 "Upon arriving in the UK I immediately ordered gemstone beads from Kernowcraft because I knew I could rely on their quality..."
More than the gemstones, it was the experience of the market that was the real value. 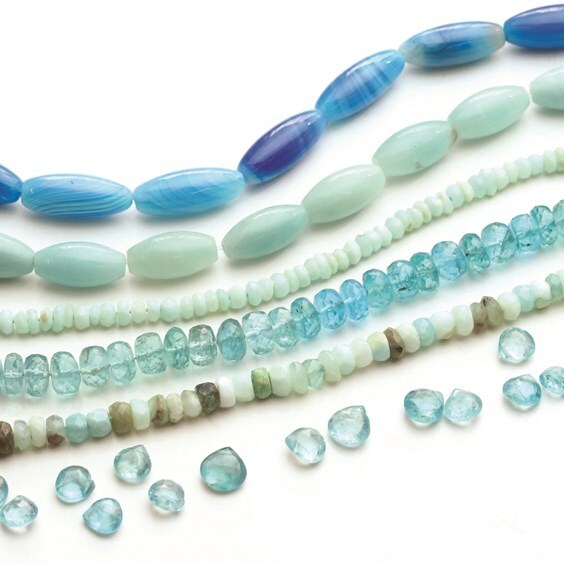 Upon arriving in the UK I immediately ordered gemstone beads from Kernowcraft because I knew I could rely on their quality. As soon as I clutched the strands of carnelian, lapis lazuli and green aventurine in a bundle I was transported back to the bustling market, the smell of fried dumplings and the noisy chatter of negotiations in Mandarin. 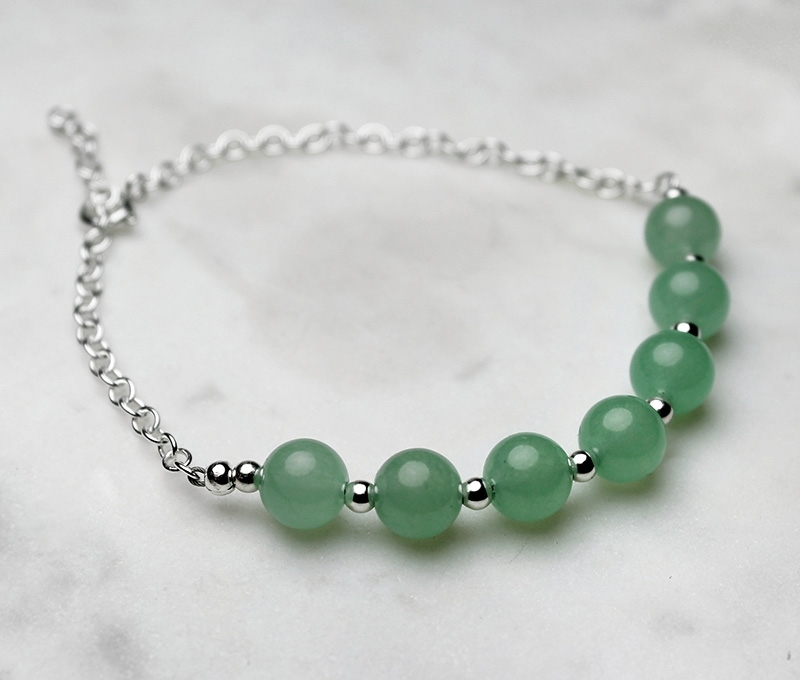 I had also ordered some Flex-Rite jewellery wire and some sterling silver crimps and I have just released a collection of genuine gemstone bracelets, inspired by my time wondering the Beijing Gemstone Markets. The bracelets are now available on my Etsy, in the beautiful shop Out Of The ORDinary in Skipton, Yorkshire and I will be selling them at the Artsmix Leeds Craft Markets. As for the experience of being an Artist in Residence, the greatest part was meeting the other artists working in Beijing at the time. I shared my experiences with a fashion designer, a ceramicist, a conceptual artist, two writers and two photographers from England, the Channel Islands, America and Germany – and I now have friends from all over the world that I no doubt will be visiting in the years to come. 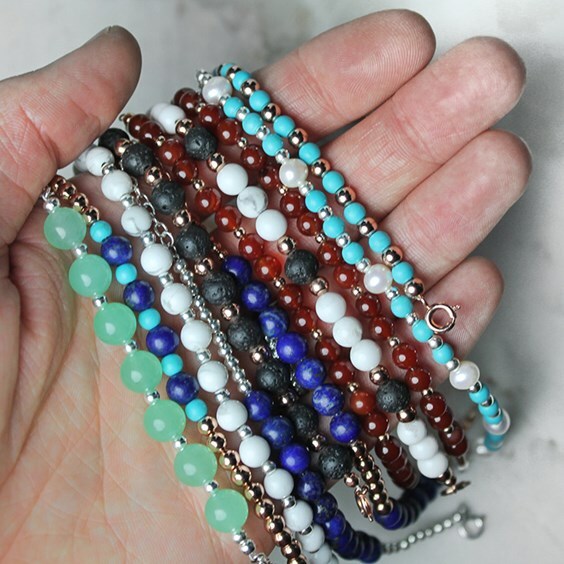 "I have just released a collection of genuine gemstone bracelets, inspired by my time wondering the Beijing Gemstone Markets..."
Explore Kernowcraft's range of over 300 types of stunning gemstones beads! 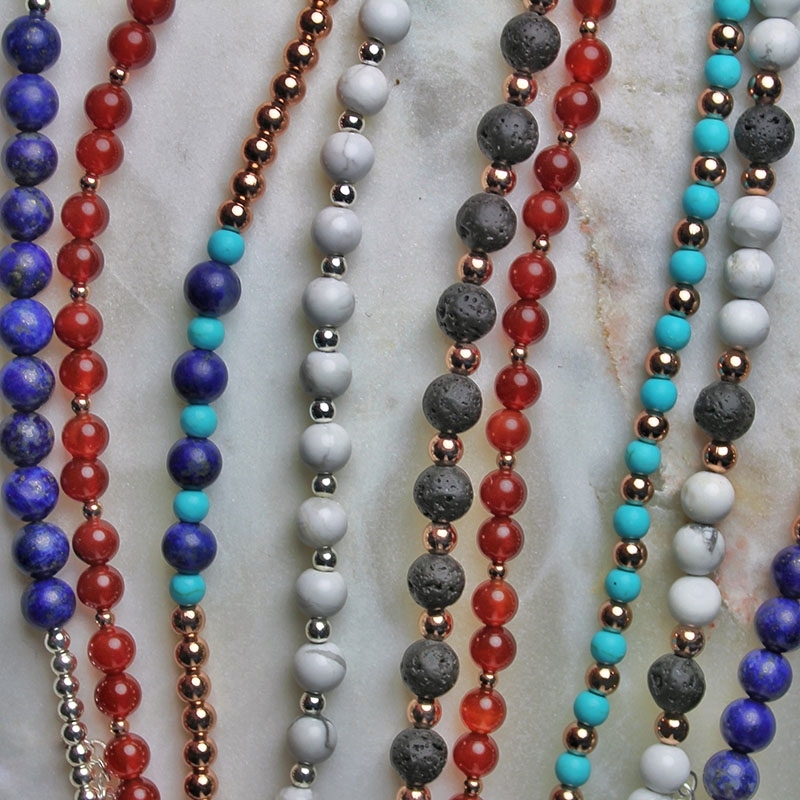 Available as loose beads and bead strands for your jewellery designs.